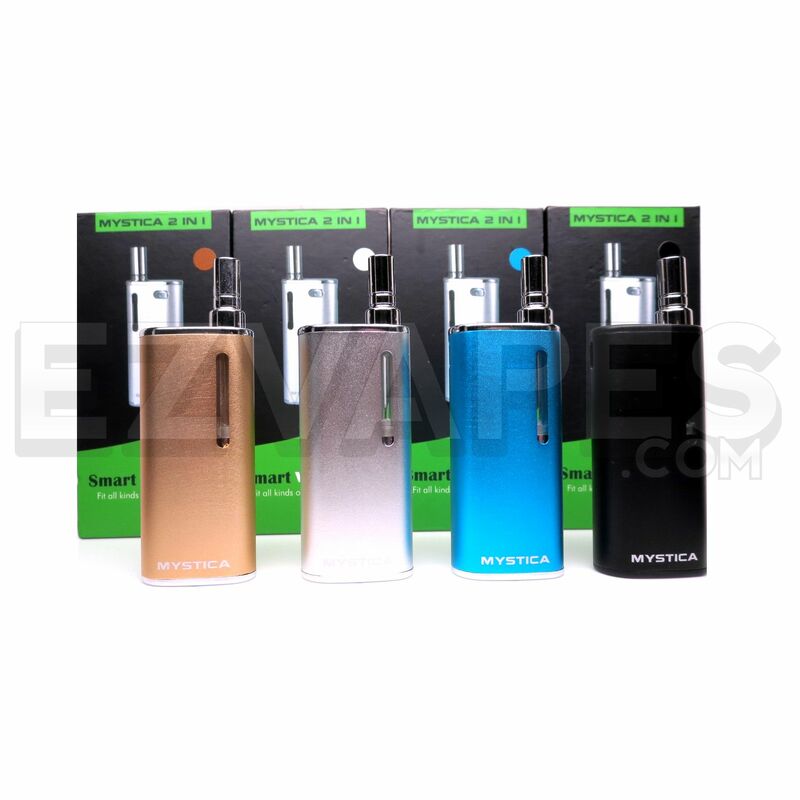 The Airis Mystica 2 in 1 Kit is a new and improved Mystica vaporizer from Airistech, now stocked with two different style cartridges for use with both thin essential oils and waxy concentrates. 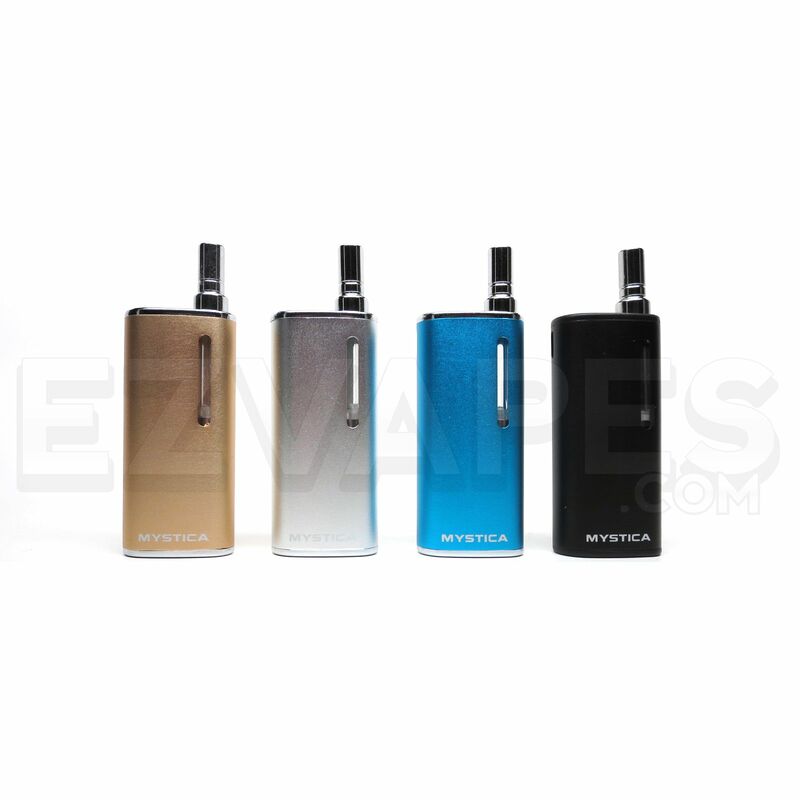 Just as each other edition of the Mystica series from Airistech, the Mystica 2 in 1 Vaporizer features an ultra compact size that makes it perfect for discreet use on the go. At just around 2.5" tall by just under an inch wide, the Mystica 2 in 1 can easily be hidden in the palm of your hand or in a pants pocket for stealthy travel. Arisitech includes a newly designed cartridge for use with thin essential oils that now comes equipped with a metal tip for enhanced durability. This refillable oil cartridge can hold up to around 0.8mL of thin essential oils at a time and it utilizes the convenient magnetic connection that allows for quick and simple atomizer swaps. 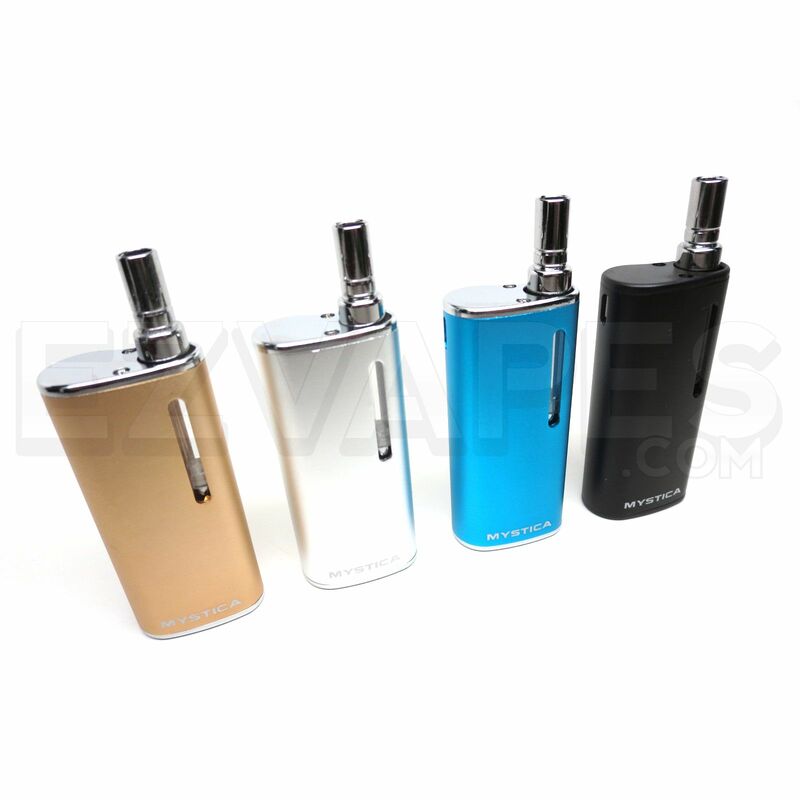 To refill this atomizer simply unthread the metal top can, remove the plug and drip in your oils. Airistech also now includes a similar cartridge for use with waxy essential oils that removes the classic fiber wick style atomizer with a dual coil glass quartz element. 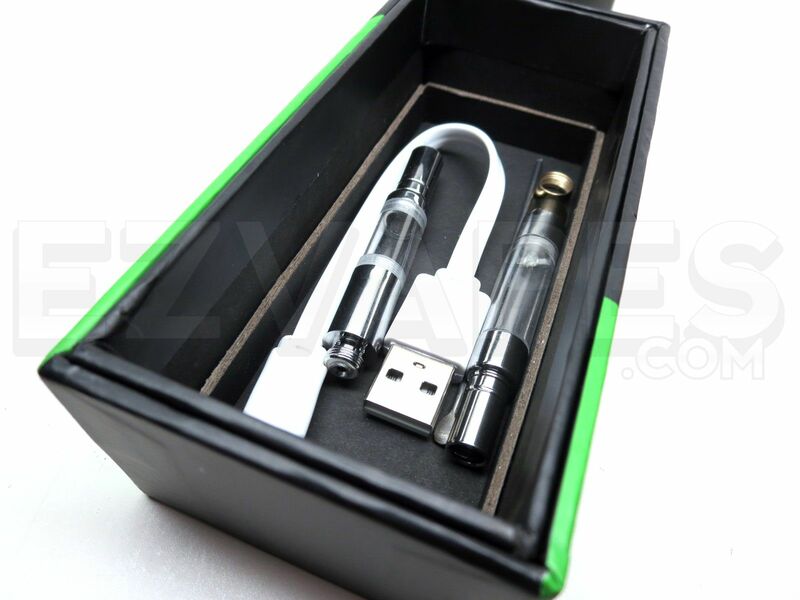 The pure glass quartz heating element has become the go to material for vaporizing thick essential oils, this type of material will preserve the natural quality of flavor your oils produce rather than adding to it's flavor like ceramic and other commonly used materials. 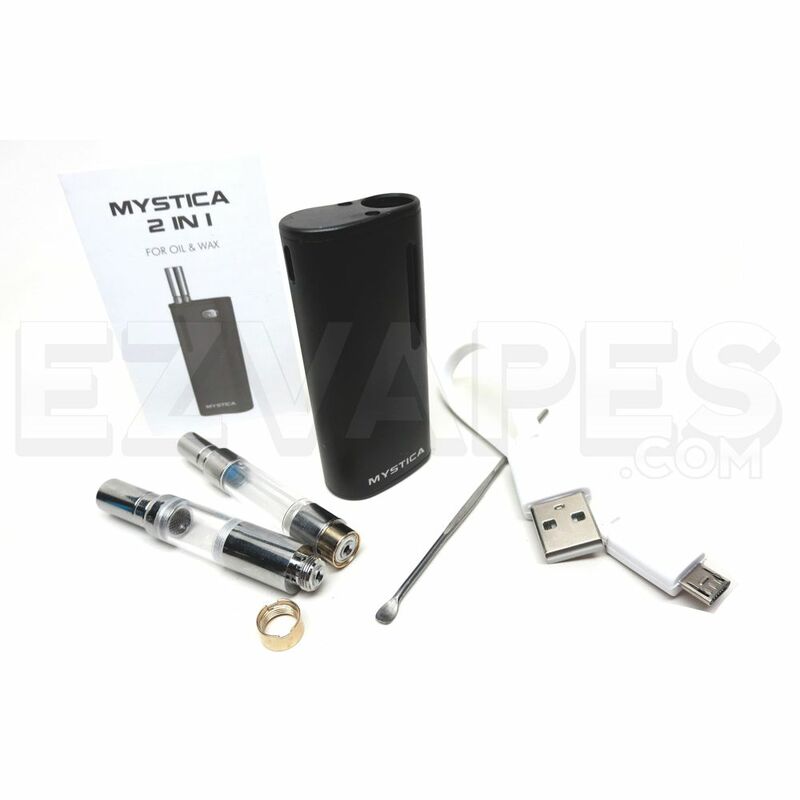 If you are one who prefers using your own pre-filled vape cartridges, the Mystica 2 in 1 is compatible with most other similar style 510 threaded cartridges on the market that measure in at or under 10mm in diameter. 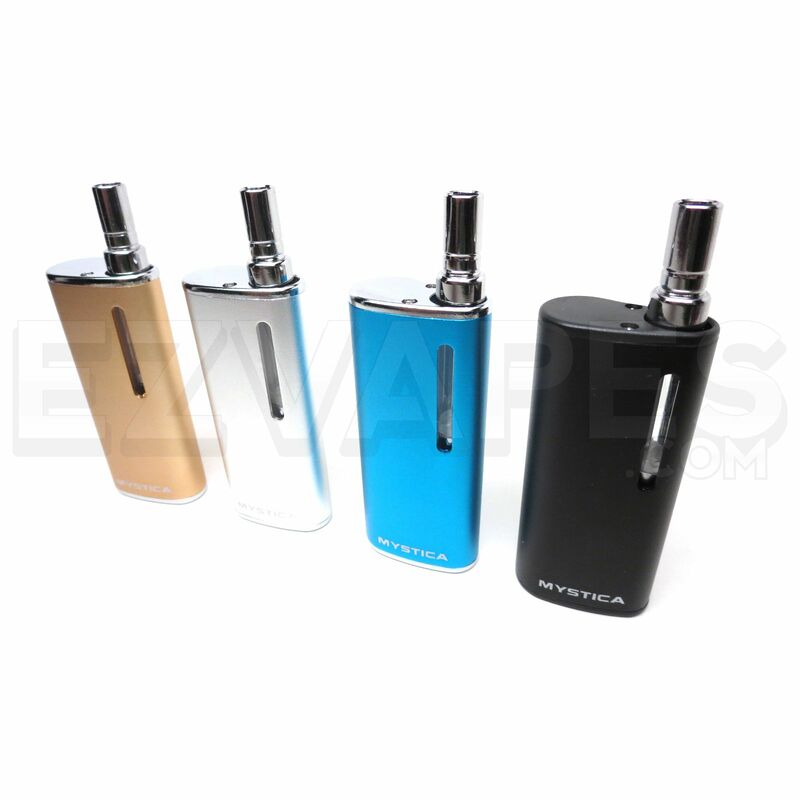 Simply connect one of the two included magnetic adapter rings to the base of your cartridge, drop the entire atomizer into the Mystica's housing and the internal magnets will create a secure connection between heating element and battery. 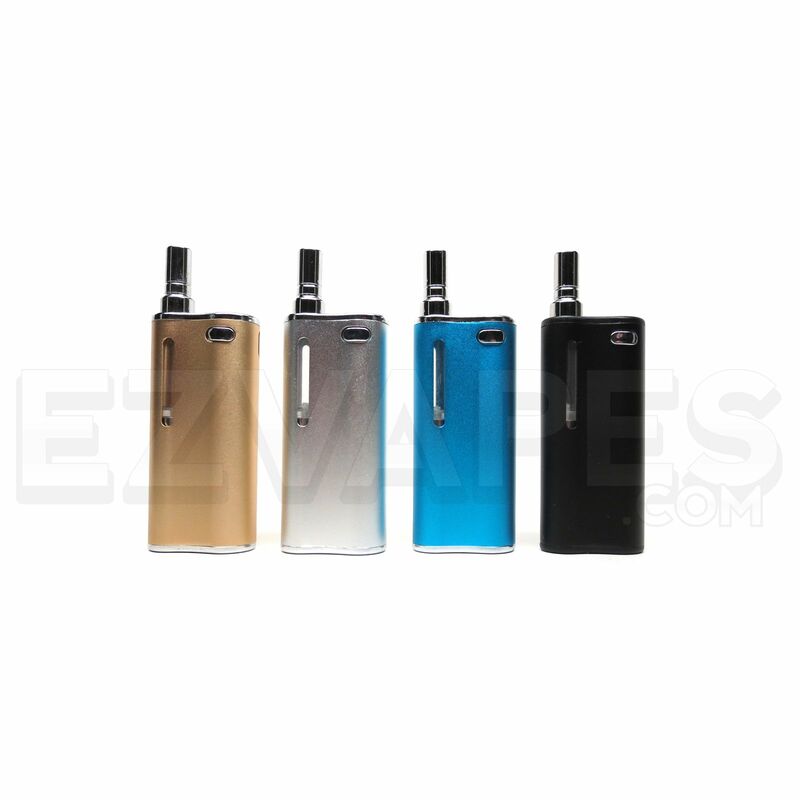 This pocket-friendly device also features a long-lasting 650mAh lithium-ion battery that will deliver days of use before requiring a recharge. When that time does eventually come the Mystica will notify you by the LED quickly blinking 10 times. To recharge connect to the included USB charging cable and the Mystica's LED will begin shining to red to show charging has begun and once a full recharge has been achieved the LED will power off. 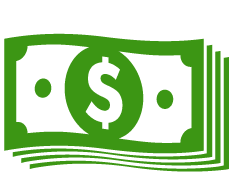 Add an eDab Cartridge Refill Kit to your order and save $1 off regular price. 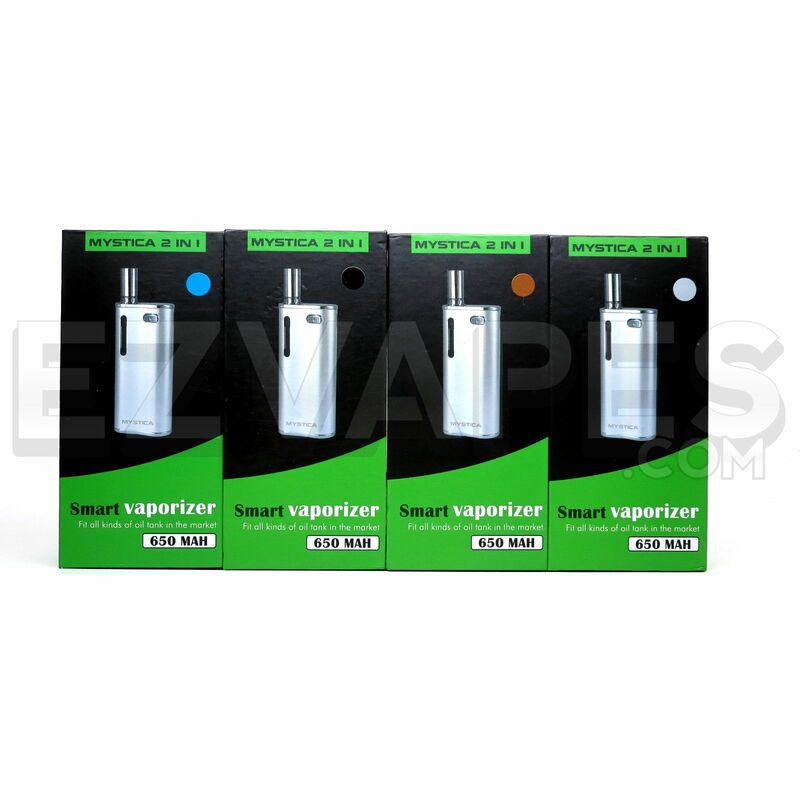 This convenient set includes everything needed to effortlessly refill, store and transport your cartridges.